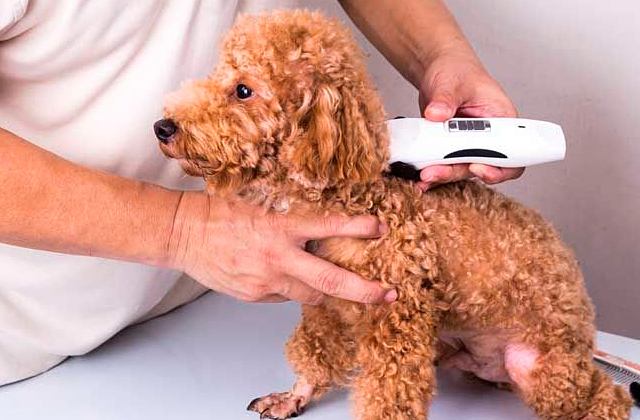 Thanks to its novel 360-degree design, the brush fits comfortably in your pet's mouth and allows rubber bristles to clean even in hard-to-reach places. It's not very easy to clean by hands. If your small devil doesn’t let you use traditional or finger toothbrushes, the Wisedom Dental Care Brushing Stick is a solution. Made as a chewing stick with sweet smell, it will become your dog's favorite toy that will deeply brush his teeth as he chews it. The brush has 2 sides with 2 different brushes to suit different dogs. One is the normal brush with regular bristles while the other one is a 360-degree brush head with soft bristles and a rubber scraper. Some pet owners find the meaty smell of the toothpaste annoying. The Petrodex Sentry Dental Care Kit might be the best match for people who still ponder what type of dog toothbrush to buy. 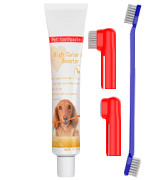 This kit has everything, toothpaste included, that you'd need to care for your dog's oral hygiene. Two finger toothbrushes (included in the set) come with an expandable finger entry that adjusts to the size of your finger. The quality of the included toothpaste leaves something to be desired. 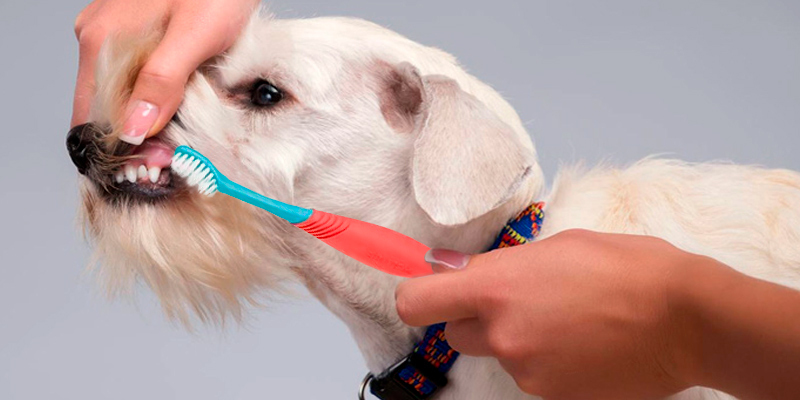 It's a decent, affordable set that will make brushing your pet's teeth an easy job. 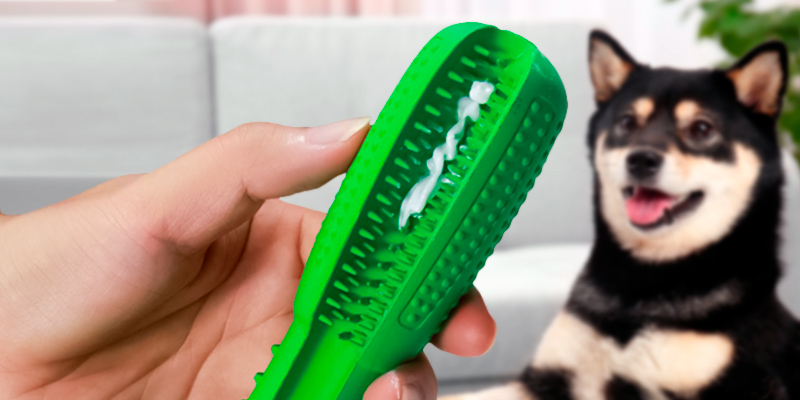 It comes with an extra-long brush, allowing you to clean in the most hard-to-reach areas of your pet's mouth. The bristles have a curved profile to clean every hard-to-reach spots and to adapt to different gum areas. They are very effective at reducing plaque and tartar. The ¾-inch diameter opening is too big for small fingers. This set includes as many as 8 H&H Pets finger toothbrushes. 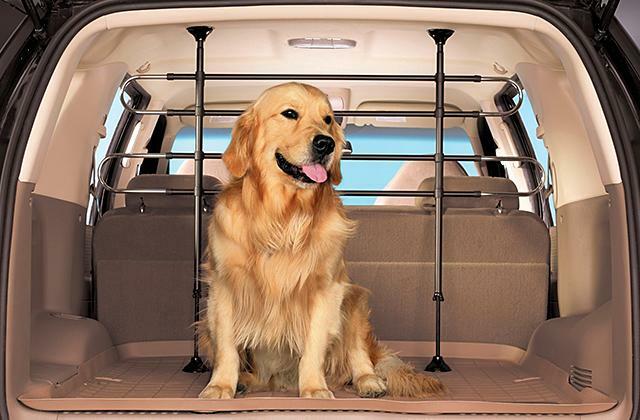 So, this product is great for owners of multiple pets and those who'd like to stock up on these things and save some money in the long run. It has a double-sided silicone design with brushes of different shape, thickness, and density. They are good for various parts of the oral cavity. Not very effective for stubborn grime, plaque, and tartar. It's a very gentle solution that can help you brush away plaque and massage gum lines. 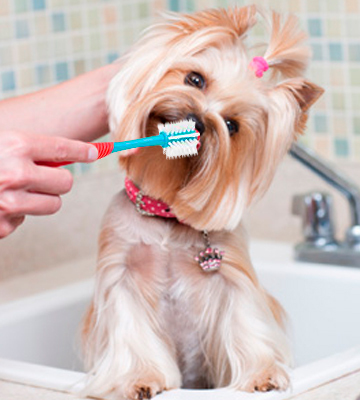 It's great for those who just want to get their pet accustomed to brushing. Suitable for dogs, cats, and other pets. 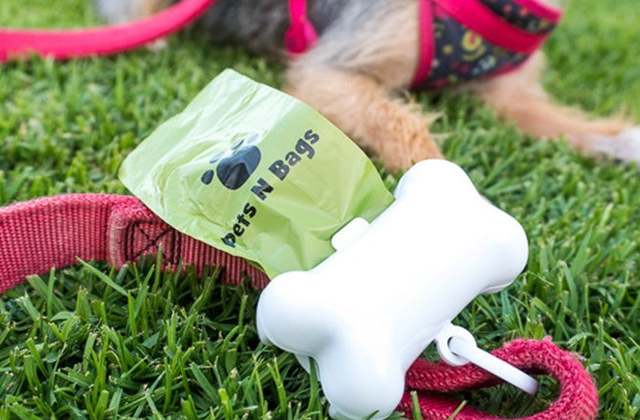 The Wisedom company offers a completely new, fun approach to dog teeth cleaning - a brushing stick that doubles as a gum massager and a chewable toy for your pup. The dog toothbrush stick is made from natural rubber which is neither hard nor soft and completely eco-friendly and safe for dog's gums. The toothbrush stick features numerous bristles on the top and a handy holding base on the bottom. The bristles are stiff enough to take off plaque and loosen tartar. 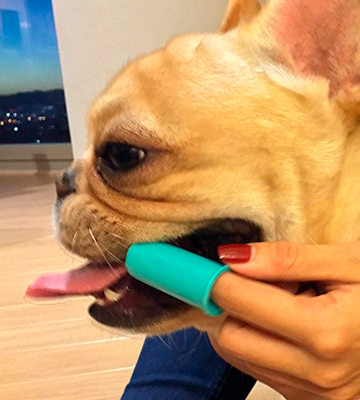 Plus, thanks to its novel 360-degree design, the brush fits comfortably in your pet's mouth and allows rubber bristles to clean even in hard-to-reach places. 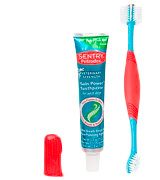 Simply squeeze the pet toothpaste into the stick (there is a hole on the top) and give it to your pup. The toothpaste will come out from the small holes along the bristles as your doggie chews it. There's no doubt that your little friend will like playing with the Wisedom stick as if it's a toy. To encourage your pup, you can add his favorite food in a stick with no toothpaste. By the way, the stick can do a great job of deep cleaning and massaging gums even when it's not filled with toothpaste. So, if you have a vigorous pet that doesn’t let you use traditional toothbrushes, the Wisedom Dental Care Brushing Stick is a real find. The Petrodex Sentry Dental Care Kit is a complex solution for taking care of your dog's oral cavity. The set includes a double-headed brush, Twin Power toothpaste, and an additional finger scraper for gums and hard-to-get places. The main brush has 2 sides with 2 different brushes to suit any breeds. One is a normal brush with regular bristles while the other one is a 360-degree soft bristle brush. 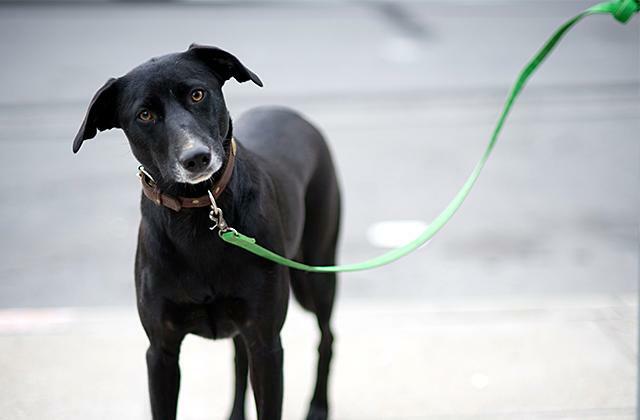 The side with the round 360-degree head best works for extremely wiggly dogs as it easily gets to the top and bottom row of teeth. The other side is good for areas with more stubborn plaque. In addition to the dual head, this brush is very convenient to use. It has a textured handle ergonomically designed to ensure a secure grip. Speaking of the toothpaste that comes in the set, it's simply fantastic. The powerful combo of a solid gel, micro-polishing agents, mint, and chlorophyll can make your dog's oral cavity healthy and smell nice. What's more, the paste has a poultry fresh mint flavor, the one most dogs absolutely love. Unfortunately, not all people are big fans of this smell and find it slightly off-putting. That said, we consider it as a minor issue, especially given the fact that this toothpaste is designed for dogs, not for human beings, and it is very effective. 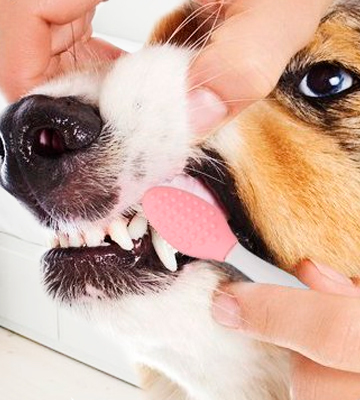 All in all, if you've never brushed your dog's teeth before and are just about to do this for the first time, the Petrodex Sentry Dental Care Kit can be your perfect option. By buying this set you get all accessories including the toothpaste necessary for your pet's oral care included in a purchase. If you're looking for an affordable yet effective product to battle periodontal disease and bad breath, take a closer look at the Ortz dog toothbrush set with a toothpaste. For less than $10, you get an extra long toothbrush designed to easily reach to all areas of pet's mouth. 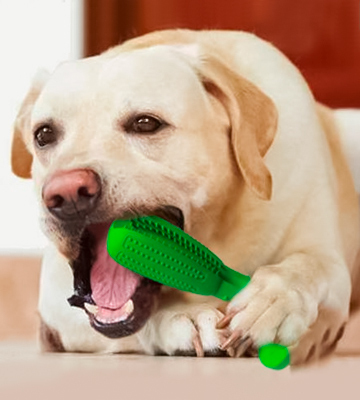 Furthermore, this brush has dual-sided design with tapered ends which allows it to perfectly conform to your dog's teeth and his mouth architecture. 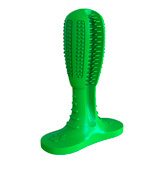 The best part is, the bristles on the ends of the brush have a different length making it suitable for all breeds. With small and large bristles, the brush can effectively take off plaque from all kinds of teeth, regardless of their size. 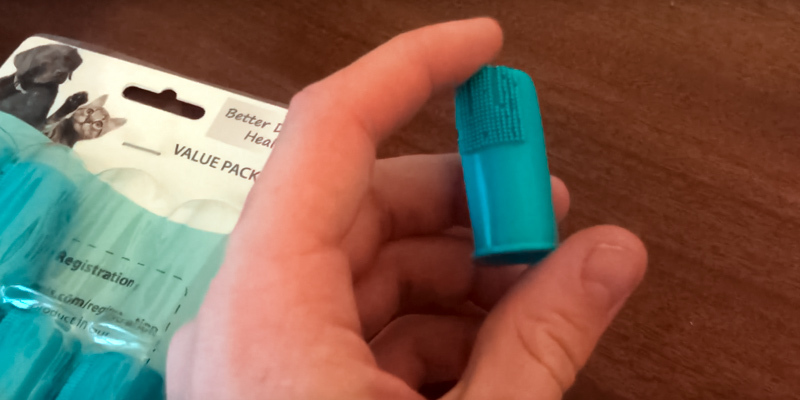 As a nice bonus, the packaging contains two tiny brushes - by wearing them on your finger you can attain full control over where and when to brush your pet's teeth. The "finger" scrubbers have 0.75-inch entry, making them suitable for both smaller and larger fingers. One scrubber features soft bristles, the other one comes with silicone bristles to clean gumline and tongue. As much as we like this toothbrush kit, we can't say the same about a toothpaste which contains sorbitol and saccharine, two components potentially hazardous to dogs. Though your dog might be fine with it, we would still recommend using another paste with a safer formula. To sum it all up, though we do not like the paste, the Ortz dog toothbrush set is not a bad deal overall. It comes at an affordable price and contains all essentials necessary to keep your dog's teeth clean. Besides, the dual-sided brush design and extra long handle make it perfectly suitable for small and large breeds alike. 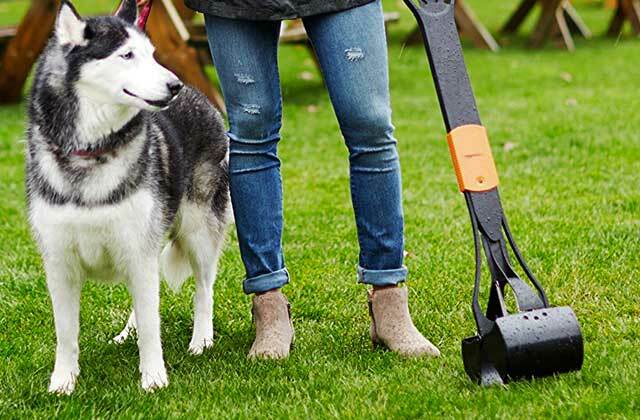 With pet care in mind, the H&H Pets company produces top-notch dog products to improve their life and make them healthier. The H&H cat/dog finger toothbrush is not an exception. It's professionally designed and features curved-shaped bristles so it can clean every hard-to-reach spot and adapt to different gum areas. The bristles are made of top-quality material, which is soft and gentle to touch, allowing its use on puppies' teeth with no harm. What is worth noting though is that the included toothbrush is rather loose with its ¾ inch diameter opening and will better fit larger fingers with a ring size 7+. Which means, if you have smaller fingers, using it might be inconvenient. That said, you can always adjust it by inserting a paper towel inside or buy a different brush of a smaller size. Good news is, the H&H Pets company offers plenty of options. The biggest advantage of the H&H Pets set is that a single set contains as many as 8 toothbrushes. 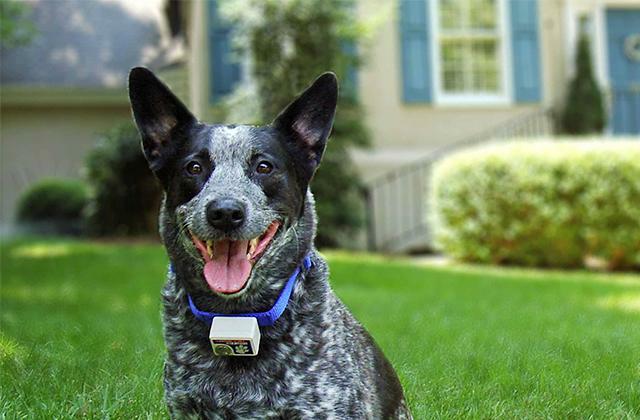 This makes it a practical option for owners of multiple pets as well as those who prefer to stock up on things and want to save some money in the long run. So, if you need a high-quality toothbrush set for at least several months of use that will be affordable and effective at the same, this one is as good of an option as it can be. Plus, by purchasing from H&H Pets you donate 15% of the price to the animal rescue organization "Hope for Paws", this way making your own contribution to the well-being of other animals. 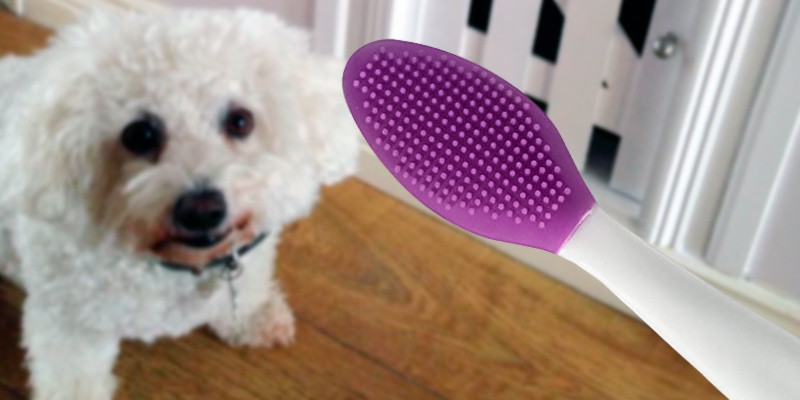 If you tried using a conventional pet toothbrush and your dog didn't like it, try brushing his teeth with an innovative dog tooth scrubber from FoMate. 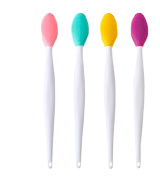 This brush has a double-sided silicone design with bristles of different shape, thickness, and density, and looks nothing like the majority of pet toothbrushes. Such design peculiarity makes it perfect for cleaning all parts of oral cavity as well as eliminates the need to use other cleaning tools but this brush. Extra soft rubber bumps effectively brush off grime and tartar, thus decreasing the risk of teeth diseases and improving bad breath. Importantly, silicone is much easier on gums than "traditional style" doggie bristle brushes. That said, the rubber is not too soft and it's very unlikely that your pet might chew it off even if he plays with it. 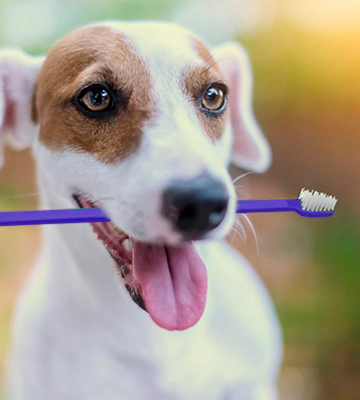 The FoMate dental toothbrush is a very gentle solution that you can use to care for your your pet's teeth: clean them, brush them, and massage gum lines. Even though it might not cope with very tough stains due to its milder formula, it is a great option for those who're just about to accustom their pets to teeth brushing. What Is a Dog Toothbrush? Do you know that 85% of pets have periodontal disease by the time they reach 3 years? And do you know that dental issues can lead to major pain for pets? The bacteria hidden under the gum may travel to the heart, liver, or kidney and cause serious complications. They can promote inflammation, painful chewing, increase the risk of heart diseases, complicate diabetes, and lead to other scary consequences. However, brushing can prevent oral illnesses and give your pet a happy lifestyle. Cleaning your dog's teeth at least a few times a week (though vets recommend brushing once a day) ensures proper dental hygiene for your pet. And you don't necessarily need to spend money at the veterinarian’s. A dog toothbrush is a way out. 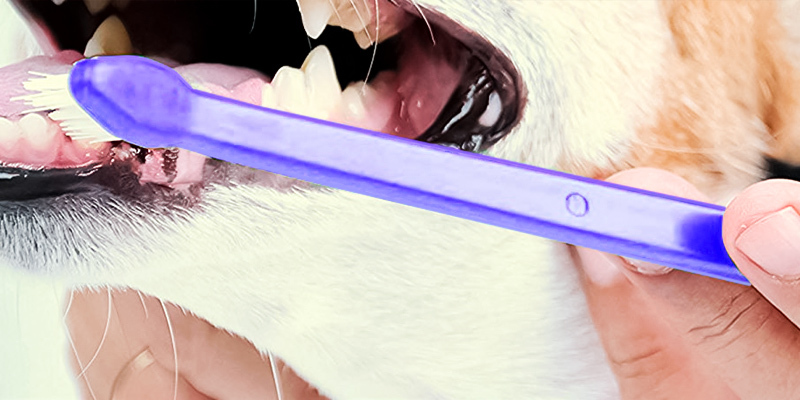 We have reviewed the best dog toothbrushes that work great with any toothpaste and can efficiently remove plaque, food debris, and bad breath. They come in different shapes and sizes to suit different breeds and tempers. Even owners of extremely wiggly pups will be able to find a suitable option and make toothbrushing a part of playtime. 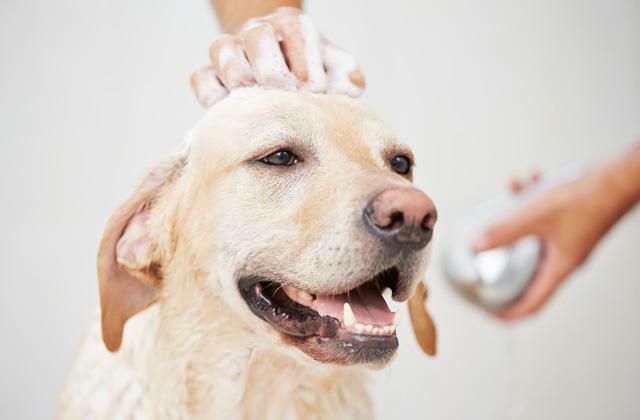 Dog shampoo is another useful product that can come in handy during your weekly Spa Day.